Our friends got married in Vermont so we made them a little print to say thanks and good luck. 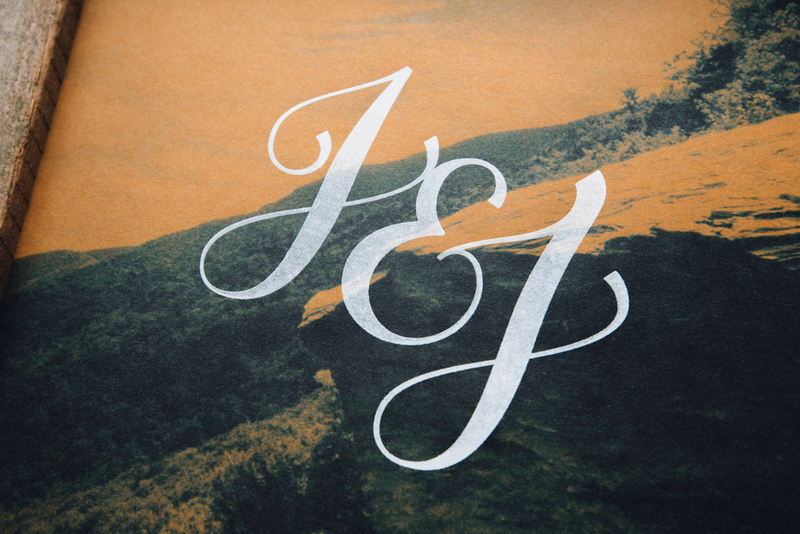 The initial concept was to screenprint a lettered J&J on chipboard, but after playing around with type, color, and layout for a Dribbble shot it became clear that the final product ought to follow suit. I picked up a screen from Lumi (great for super small runs), some paper stock from French Paper Co., and got scrappy. It was a fun way of working that'll surely find its way into projects to come.